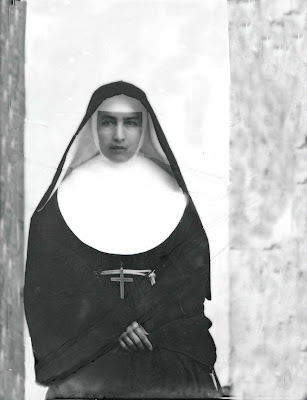 Only six years after Mother Marianne Cope was beatified, the New York-bred collaborator of St Damien deVeuster on Hawaii's Molokai leper colony has cleared the final hurdle to sainthood. Earlier today, officials of Blessed Marianne's Syracuse-based cause relayed word that the cardinal-members of the Congregation for the Causes of Saints had affirmed that a second inexplicable healing attributed to the intercession of the Franciscan nun (1838-1918) was, indeed, miraculous. Following the initial judgment of its medical board, the full dicastery's vote to recommend canonization marked the last deliberative part of the sainthood process. A decree of the miracle's authenticity will now be presented to Pope Benedict at his next audience with the Congregation's prefect, Cardinal Angelo Amato SDB, which is expected to take place within weeks. Once the pontiff's pro forma approval of the finding is granted, Cope's canonization date would then be announced by the Pope at a subsequent consistory of the cardinals resident in Rome. Don't book tickets yet, but if the consistent pattern of B16's six-year reign holds, smart money sees Rome's second mass dose of Aloha as most likely to come next October, just three years after liturgical hula first broke out in basilicas on Father Damien's elevation to the altars. Though Benedict customarily holds an earlier canonization each year during the Easter season, the time needed to arrange the 8,000-mile pilgrimage would indicate the later date. The Roman move comes on the heels of last month's 216-2 vote by the US bishops to add the Franciscan's feast to the national calendar, along with that of Blessed John Paul II. While Blessed Marianne is commemorated in the dioceses of Honolulu and Syracuse (her community's home base) on her 23 January birthday -- and is additionally recognized as a saint by the Episcopal church -- conflicts with the wider calendar have left the feast's national scheduling in the hands of the Holy See. Initially buried at the isolated Kalaupapa colony where she served Hansen's patients for over three decades, Marianne's remains were returned to the Empire State at the time of her beatification for re-interment at the Franciscan Sisters' Motherhouse. Relics of the saint-to-be are kept for public veneration in Syracuse's Cathedral of the Immaculate Conception and Honolulu's Cathedral of Our Lady of Peace. And that's not all -- as first relayed on the Inside Pages in early November, likewise expected in the impending batch of miracle decrees is the long-awaited final step to sainthood for the "Lily of the Mohawks," Blessed Kateri Tekakwitha (1656-80). Beatified in 1980, the convert and catechist of Mohawk-Algonquin roots enjoys a particularly intense devotion among Native American Catholics, and is likewise regarded as a patroness of ecology and the care of the environment. 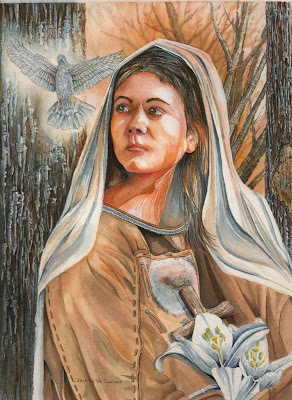 Though Kateri's cult extends far beyond her home-turf, like Mother Marianne, she can be considered a New Yorker, having been born near present-day Auriesville (home of Martyrs Shrine). Her 14 July feast long on the US calendar, Bl Kateri is buried in a mission church near Montreal. A national shrine to her is kept at her onetime home in upstate New York, but is only open seasonally. Since his 2005 election, Benedict has already canonized two heroes from current-day US territory: the French-born Indiana foundress Mother Theodore Guerin in 2006, and the Belgian-born Father Damien -- now a Hawaiian folk hero -- who's revered worldwide as a particular patron for HIV/AIDS sufferers and the marginalized in general. Flying in the face of the reigning pontiff's intent to declare far fewer saints than his prolific predecessor, it's very plausible that the uptick of Americans reaching the altars of late can be linked to the Stateside church's recovery from a decade of epochal scandal, and Benedict's repeated, emphatic response to the crisis it birthed. Much as recent years have seen no shortage of heated calls for institutional reform, the Pope's consistent retort has been that -- as opposed to the fold's loudest, most prominent or incendiary elements -- "in every age the saints are the true reformers of the church’s life" through their ability to inspire and challenge others to embrace a deepened fidelity to Christ and the Gospel, and by the integrity of their witness. While six American saints have been elevated on the basis of individual causes since the "Mother of Immigrants" Frances Xavier Cabrini in 1946, never have two been canonized at once. Then throw in a rare convergence of Indians, Halau and Yankee fans, and you've got the makings of quite the trip.